I like horror because it shows some of the deepest and darkest parts of the human psyche. There are many different types of horror, but my favorite are films and books that focus on the psychological aspects of a person’s mind. The anticipation and fear of the unexpected is more powerful in my opinion than splatter and gore. Not knowing if something is going to jump out behind the door you open is a primal impulse that has been part of our makeup since we started to walk on two legs. The fear of a predator, coming to get us, is ingrained in our minds. That is why I like horror. I’m a big fan of the movie Alien. The atmospheric buildup of seeing the alien for the first time kept me on edge as a kid when I first saw the movie. And what isn’t there to like about the chest busting scene? I didn’t know it was coming and I couldn’t believe what I was seeing when it registered that I was seeing a damn alien coming out of a guy’s stomach. Another film that really freaked me out what Carrie. But when I think about more recent films, I really liked Let the Right One In. This Swedish vampire film had a lot going for it, but what impressed me the most is the ending scene at the pool. If you’d not seen it, check the film out. I don’t want to spoil the ending for you. For a low-budget foreign film, there’s some great things being done in this movie. Well worth checking out. I’m a very private person and like to keep my thoughts to myself so you’ll not see me outwardly living a horror lifestyle. Instead it’s in my novels. I’ve written several fantasy books and, on the surface, they appear to be about cute topics: Cinderella and happily ever after. However, I really twisted the happily ever after tale around and focused on the darkness within. There’s possession, despair, fear and dark magic all strewn through my series. To me, the greatest horror is one not achieving the greatness that they have within them. Often my evil characters simply fall from grace and use their powers to harm others out of fear and jealousy. Their potential is lost and they’ve allowed themselves to succumb to their worst selves. I’m nearing completing to a fantasy book entitled Awakenings. It’s the first book in the Witch’s Coven series. I also have the draft to a science fiction novel that I wrote last year, but I haven’t had time to edit that one yet. There’s only so much time in the day! 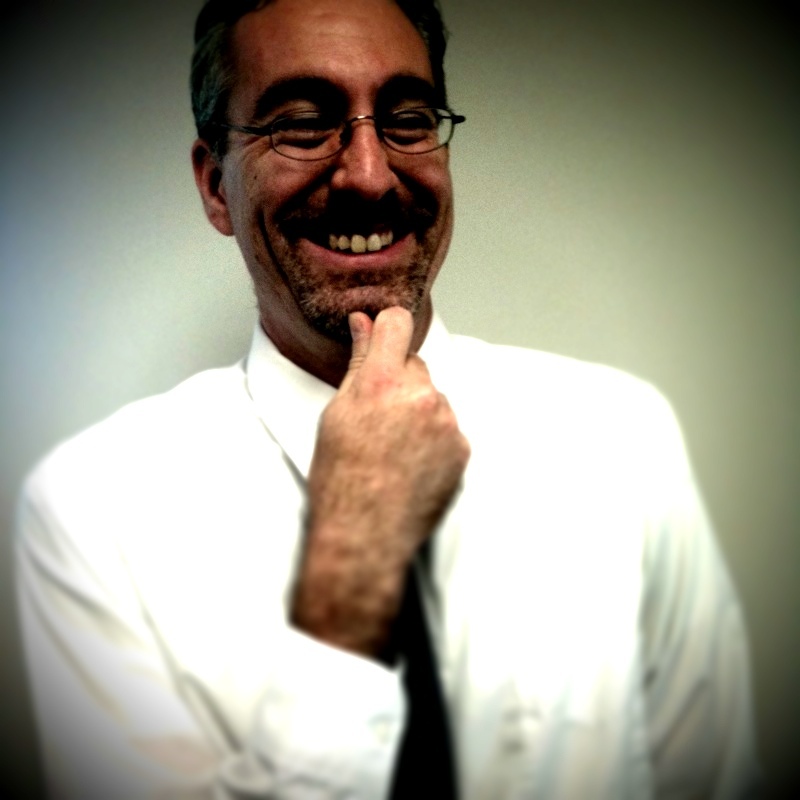 You can find me at www.ronvitale.com, but if you want to reach out to me, best way to do so is on Twitter. I’m @ronvitale. My novels are on Amazon, Kobo, Barnes & Noble, iBooks and just recently Lost: Cinderella’s Secret Witch Diaries was released on Audible. Working with a narrator to bring Cinderella and the other characters in my book to life was a fantastic experience. Fairy tales don’t always have happy endings and sometimes there is a lot more to the story that we don’t know. In the book Cinderella’s Secret Diary (Book 1:Lost), Ron Vitale told what happened to Cinderella after she married the prince. Cinderella’s life didn’t turn out like she planned. In the end of the book Cinderella is living with her daughter Phoebe in America in the late 1700s. 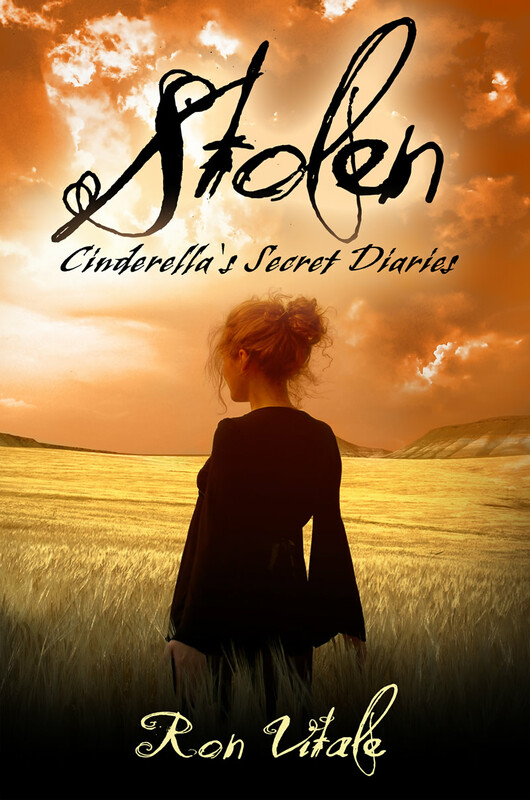 In Stolen:Cinderella’s Secret Diaries (Book 2) by Ron Vitale, its 10 years later and Cinderella is still in America and on the run. The book begins with Cinderella, her daughter and their friend Rene’e on a prairie in America heading west in a wagon. Ten years ago Cinderella discovered she was a witch, Rene’e is also a witch and has been teaching Cinderella to use her powers. The trio of women want to keep their freedom and live in America but dark forces are calling them back to England. A witch hunter named Jeremiah has been hunting Cinderella for months. He plans to return her to England so she can use her powers to help England win the war against France. French Emperor Napoleon is under the control of the Faerie Queen Mab who wants to destroy Cinderella’s powers and rule all of Europe. Cinderella wants to stay out of the war but another force is also pulling her back to England. Cinderella never got over her former lover Henri and she goes to him in her dreams. Queen Mab and the witch hunter are using Cinderella’s dreams to track her and soon Cinderella finds herself trapped in a war that only she can stop. Stolen is a book that works on many different levels and it can fit into several different genres. The story could be considered science fiction with its use of time travel, fantasy with the use of magic, horror as the spirit of pestilence ravages the countryside and alternate history as the story gets into Native American history and European history. There is also is a lot of great battle scenes in the book. Along with the theme of loving the wrong person and dealing with loneliness the book has great characters. The two main characters in Stolen are Cinderella and Queen Mab, they both love someone who doesn’t love them and are lonely. The two women make mistakes that effect everyone around them and the book ends up being about them correcting their mistakes and growing from them. I loved how Queen Mab is presented as being evil but as you get to know her you sympathize with her and you see her as a shade of grey. All of the characters in Stolen are shades of grey, the villains have their good points and the protagonists have their bad points. They have their own agendas and everyone in the book reminds you of someone you would meet in real life. My only complaint about the book is that there was almost too much going on. A little over half way through the book, the story gets into time travel and the characters visit so many different locations and times that I found myself getting a little confused. That being said I still was excited to see what would happen next. Stolen is a fast paced action packed thrill ride with fascinating characters and beautiful settings. I felt that Stolen was better than the first book in the series and I am very curious as to where Ron Vitale will go with the third book in the series. Stolen has something for fans of all genres and you owe it to yourself to give it a chance. Ever wonder what happened to Cinderella after she got married? Not all fairy tales have happy endings and things aren’t going well for Cinderella. Its the late 1700’s, Napoleon is raging a war on Europe and Cinderella is about to start a journey of self-discovery as she comes to terms with her failing marriage and inability to have a child. 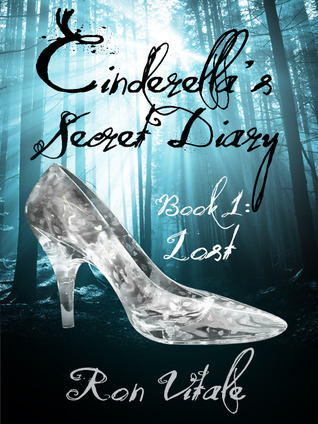 This is the story behind Cinderella’s Secret Diary Book 1: Lost by Ron Vitale. The story begins with Cinderella writing in her diary asking her fairy godmother to help her with her problems. She then goes on to tell a story that her mother told her the night she died about the Faerie Lord. The Faerie Lord in the form of a silver fox was walking through the woods and finds a woman who was unhappily married. The Faerie Lord tells the woman that he loves her and has followed her for years; he then takes the woman away to the land of Fey, where the two are married and live happily ever after. It has been a few years since the prince has married Cinderella and her life has not been a happy one. The prince neglects her and has been seen in the company of other women. Cinderella has yet to have a child which upsets the queen and she has no friends with the exception of a woman named Clarissa. Despite living in a palace Cinderella feels like a prisoner. After writing several diary entries asking her fairy godmother for help. She finally receives an answer in her diary from her fairy godmother saying that she must free her mind and look within to solve her problems. With the help of the queen, Cinderella comes up with a plan to visit France where she will meet with a witch to see why she can’t become pregnant. In France Cinderella falls in love with another man and at this point in the story your thinking that this story is going to be just another romance novel, but then the story changes and becomes much more then that. The witch that was supposed to help Cinderella become pregnant is working with the queen to stop Napoleon from invading England. The witch also lets Cinderella know that she is more then just a princess and her fairy godmother is not working in her best interest. Cinderella is left to decide if she should follow her heart or do what she thinks is right. 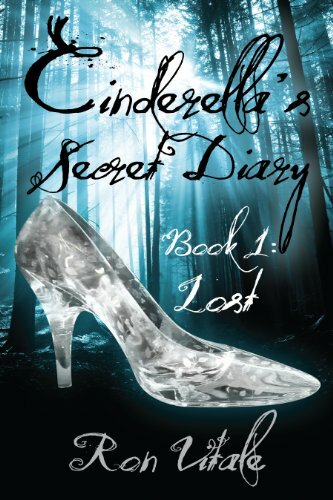 If you buy Cinderella’s Secret Diary looking for a nice little fairy tale your going to be disappointed. This book is more of a dark fantasy aimed at a teenage audience. I did enjoy this book but I had a couple of problems with it. There were a couple of continuity errors and there we’re a couple of things that I felt could have been explained better, but I don’t want to mention them here, because it would spoil the story. Another thing that bothered me was the fact that the whole book is from the first person point of view. The story is told entirely from a series of diary entries made by Cinderella (with some exceptions by the antagonist in the story). I don’t mind reading a whole book from one view point and the fact that it was all diary entries didn’t bother me. In fact there is a reason given why the whole story is told in diary entries. I still would have liked it if we knew a little more about what the other characters and what they we’re thinking. I did find myself getting tired of reading about Cinderella’s feelings and hearing other character’s viewpoints would have made it better. On the positive side I enjoyed how the author points out that Cinderella is trapped in a situation that she doesn’t like and can’t control then he goes on to show how the other characters are also trapped in situations they have no control over, such as the prince and queen. I also liked the exchanges between Cinderella and the rince. Despite both characters admitting to each other that they don’t love each other, they still show great affection for each other when Cinderella stays with the prince when he gets injured and when the prince tries to rescue Cinderella from the villain in the story. I found myself wanting the prince and Cinderella’s relationship to come to a different conclusion. I also loved the characters of the queen and the silver fox. Most of all I liked the point that the book makes that you shouldn’t wait for someone to come along to solve your problems with a magic wand, you have to depend on yourself to find what makes you happy. Though this book isn’t the kind of book that I usually like to read, I did enjoy it and can’t wait for Ron Vitale to write Book 2 of Cinderella’s story. I woke up startled from a noise. It was the middle of the night and I had been sleeping. I opened my eyes and floated between consciousness and sleep, my mind reeling. Still in bed, I saw lights in the hallway. The lights appeared to dance in the air and I heard an odd noise that rushed toward me. The sound, distant yet constant appeared to be coming from the strange lights levitating in my hallway. My teenage body froze in fear. The lights grew in size, moving closer to my doorway and increased in their intensity. I tried to move again and could not. Trapped in pure horror I remained paralyzed and could not speak and I tried thinking but my brain refused to work. The rumbling noise faded and the lights faded back. And then I knew it, a ghost or an angel had come to visit me. Torn between which it might be, I desperately pushed aside the thought that a ghost had come to haunt me and take my soul. In my compromised state, an angel seemed the better option. But this ethereal being sounded more like Gabriel coming with his sword to wreck havoc on the unjust than to help a poor soul like me. I had wasted too much time as the rumbling sound increased in volume, shaking ever so slightly the apartment we lived in, and the lights flared up, angry and brilliantly white. With seeming aggression, they floated toward the door and I begged them to not hurt me. The horror of my predicament left me powerless. The angel of death had come for me and instead of being asleep as it had intended I would see my last few minutes on this Earth before being taken and dragged into the chute of hell, to writhe with the rest of the unfortunate souls who had not done God’s will. I would suffer for all eternity, cast aside and adrift from the light, only to be in utter darkness and fear—forever. I cannot tell you how many minutes my run in with the angel of death lasted, but I can tell you how I woke from it. Having heard the sound again, my sleepy brain began to put two and two together. The “roar” and “rumble” were trucks and cars passing by our apartment. The sound of their passing was echoing off a wall and coming in through the bathroom window. Similarly, I then realized that the light from their headlights was reflecting off the bathroom mirror and then onto the full length hallway mirror creating the illusion of floating balls of light. I logical answer for my other worldly experience was simply that I had been in a dream state and a large truck rumbled by. I wasn’t quite awake and saw the lights, thinking that they were some spirits coming to get me. When you’re 15 years old and have an active imagination, that’s all it took to instill that dreadful horror into me. 1. an overwhelming and painful feeling caused by something frightfully shocking, terrifying, or revolting; a shuddering fear: to shrink back from a mutilated corpse in horror. Now that we know what horror is defined as I’d like to expound a bit on what horror means to me. I’ll be honest: I’m a scaredy cat. It doesn’t take much to frighten me but there is power in horror and I’d like to propose that the anticipation of an event or action is so much more powerful and horrifying than any monster that Hollywood can put on the big screen. I love CGI, but it pales in comparison to my imagination. A few examples. Remember, the movie Jaws? There’s a scene in the beginning in which a young woman is swimming at night. She feels a tug at her leg and a confused look crosses her face. Then it happens again and she’s pulled under the water. She’s scared, it’s dark, you can’t see much and then she’s dragged around and pulled under. Many minutes go by in the film until you actually see the shark. Granted, with the limited technology at the time, the shark isn’t much to look at. In 2010, who would be afraid of that mechanical monstrosity? But re-watch the film and take in what Spielberg does to build suspense and fear. Granted, Jaws is not a horror film, but, as a little kid, it was my first understanding of how powerful my imagination could be. A few years later Alien came out and as I was only 8 at the time so I didn’t get to see the movie until it was on VCR a few years later. But I’ll never forget the stomach bursting scene and Ridley Scott’s use of the camera. How many long, smoking corridors does he bring us down as the crew searches for the creature? How many times do you think it’s going to pop out and instead it’s a cat or nothing? Building that suspense and then, when you least expect it the creature would come out scare the crap out of my pre-teen self. I saw The Blair Witch Project before all the hype. My brother waited until the movie had been blown up into being something that would scare God Herself. There’s a scene at the end (I apologize for the spoiler but the film came out in 1999 so stop reading this if you haven’t seen it) in which Mike is standing facing a wall. You know something’s there (the witch creature thingy) and Heather falls down and the camera is knocked on its side. There’s screams and the camera fades out. Boom. The End. Now I saw the film, thought it was good and came home and that night I had nightmares that freaked the hell out of me. Why? I could not stop replaying the ending of the movie in my head: Mike is standing in the corner, hunched a bit like he’s a little boy, immobile and trapped by the witch. She/it is there in the room waiting to get Heather. With the darkened, grainy video, you don’t see much. I didn’t need to, but my imagination filled in the rest. In my dream, I replayed that ending scene and was horrified at the potential for evil in that room. My psyche can dredge up the most imaginative creatures, places or events that will tear at my mind, enabling me to live in that moment. I had not been more terrified and frightened from a movie’s ending in a long time. I understand his point. I do. But, for me, true horror isn’t what we see on the screen or read on the page. It’s the anticipation, the implied horror that can take your feeble human mind and break you down into the puny little kid you once were—afraid of lights dancing in the hallway in the middle of night. I would argue that the best horror masterpieces embrace that human weakness of ours: We want to know and put explanations to the unknowable. An odd noise or sight: We will think it’s a ghost, a creature or a UFO. And to me, finding the intersection between what we think we know and try to anticipate what we know is the true horror. It’s hearing the odd noise in the middle of the night in a darkened house. Is it the house settling or is someone there, waiting for you? Ron Vitale is the author of the fantasy novel Dorothea’s Song, the creator of The Magic Sock and co-creator of The Podd couple podcasts. Learn more at http://www.ronvitale.com and follow him on Twitter @ronvitale.